MONTREAL - Small cellphone player Wind Mobile will be among bidders for valuable wireless spectrum being put up for auction in January as it moves to take on big carriers Rogers, Telus and Bell, chief executive Anthony Lacavera said Monday. 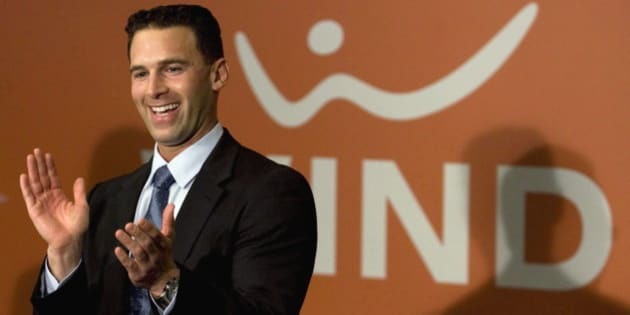 Lacavera owns a 35 per cent stake in Wind Mobile, the company he founded and launched in December 2009 after participating in the previous spectrum auction five years ago. "Obviously, there has been a very rapid evolution of smartphones," he said from Toronto. "We're now in a position where we need a lot more spectrum to service demand." Under rules of the auction, Lacavera said he couldn't discuss funding for the company's bid. Registration opens Tuesday for bids in the government auction for wireless spectrum. America's AT&T, Norway's Telenor and U.K.'s Vodafone have been rumoured to be interested, now that U.S. giant Verizon has announced it's no longer considering an expansion north. Lacavera said Wind Mobile is the fourth major carrier in Ontario, British Columbia and Alberta and has more than 650,000 cellphone customers. The company needs more radio wave spectrum to build out a faster, more advanced network that can run the latest devices, such as Apple's new iPhone. Lacavera said the application is being submitted by Toronto-based Globalive Wireless Management Corp., which is the legal entity for Wind Mobile. Amsterdam-based telecom VimpleCom owns the remainder of Wind Mobile and its Russian owners have put their majority stake up for sale. The auction of 700 megahertz spectrum, which analysts have called "beachfront property'' due to its value, could raise a lot of cash for the federal government. The 2008 auction raised about $4.3 billion. These radio waves have the ability to allow cellphone signals to reach into elevators, deep into underground parking lots, traffic tunnels and basements where calls are often dropped. The signal can also travel greater distances and, in rural Canada, will require fewer cellphone towers to provide coverage. It will also will help meet consumers' growing smartphone and tablet use. Wind Mobile is the first new player to enter the auction. It's not yet clear if financially struggling Mobilicity will bid, while Public Mobile also hasn't declared its intentions yet. Rogers (TSX:RCI.B), Telus (TSX:T) and Bell (TSX:BCE) have about 25 million customers between them and dominate the wireless market in Canada. Industry Canada says it won't publish a list of those who have put down a five per cent, refundable deposit for the auction until Sept. 23.